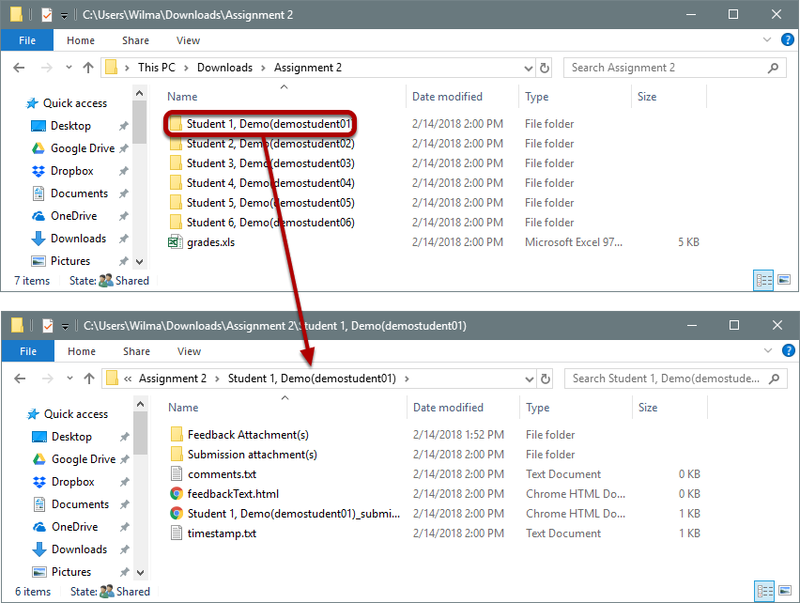 Sakai Community DocumentationSakai 19 User Guide (English) AssignmentsHow do I download assignments for grading offline? Click the Download All link. Zoom: Click the Download All link. Select the desired download options. Zoom: Select the desired download options. Click the Download button to save the files your computer. 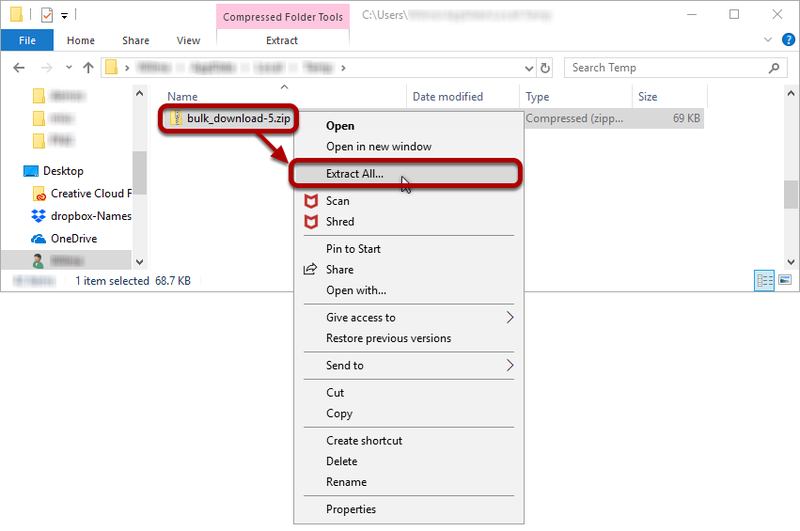 The assignment files will download as an archive file, or .zip file to your local computer. 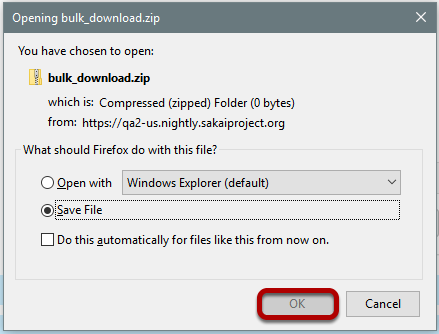 The archive file has the default name of bulk_download.zip. There will be a folder for each of the assignments in your course. Within the assignment folder, there will be individual folders for each of the students in the site. Open a student folder to view his or her submissions, feedback, and comments. 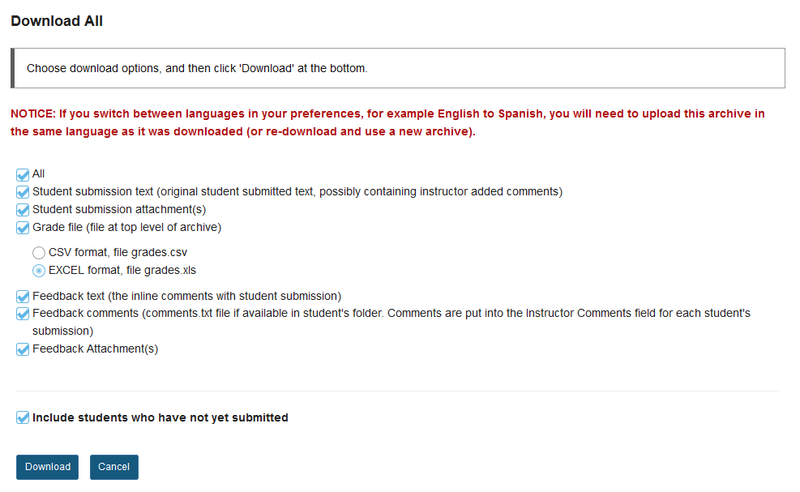 When you are ready to enter student grades, open the grades.csv file within the assignment folder. Enter grades and comments into spreadsheet and save. 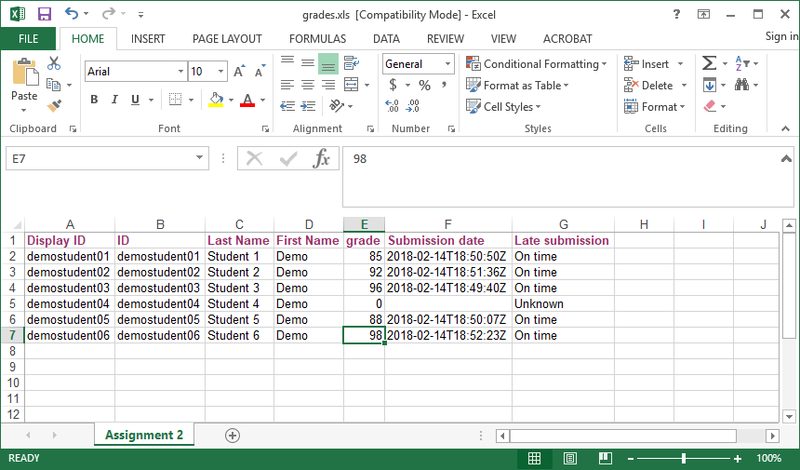 Zoom: Enter grades and comments into spreadsheet and save. Prev: How do I grade a peer review assignment? 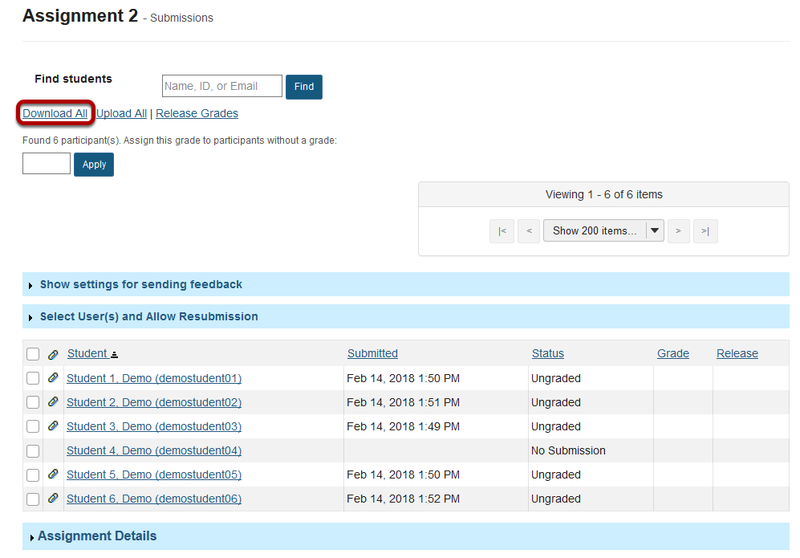 Next: How do I upload graded assignment submissions and feedback?